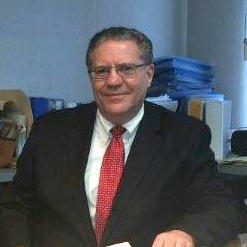 Edward J. Pecker is a Certified Public Accountant with over 30 years in public accounting. Ed maintains a large and dedicated client practice in a diverse field of specialties with expertise in cooperative housing corporations, health care services and other professional service corporations. He represents over 50 housing cooperatives in the New York area and in the health care field, provides services to individual and group practices, in various specialties, including obstetrics and gynecology, dermatology, ophthalmology and internal medicine with an expertise in partner compensation formulas, and buy/sell agreements. Ed also maintains a large individual tax practice with many high net worth clients. Ed was a partner in Malakoff, Wasserman & Pecker, CPA, PC before the firm joined Shalik, Morris & Company, LLP in 2015. Ed is a member of the American Institute of Certified Public Accountants, New York State Society of Public Accountants and Council of New York Cooperatives and Condominiums.